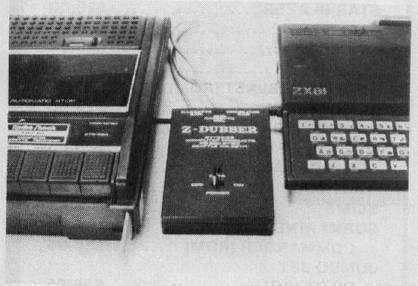 Bytesize Computer Products has introduced the Z-DUBBER, an interface between the Sinclair computer and its cassette recorder which allows even the most difficult cassette program to load more easily. Additionally, the Z-DUBBER allows you to connect two cassette recorders to create perfect backup copies of your Sinclair programs. The Z-DUBBER operates on two AAA cells. It is available for $29.95 plus 3% shipping.